This entry was posted on April 30, 2013 by sharonwynn, in Events, Spirit Performers. Bookmark the permalink. Learn more about the Marshall Tucker Band before seeing IT live at Rockin’ with Spirit! One of the major Southern rock bands of the ’70s, the Marshall Tucker Band was formed in Spartanburg, SC, in 1971 by singer Doug Gray, guitarist Toy Caldwell (born 1948, died February 25, 1993), his brother, bassist Tommy Caldwell (born 1950, died April 28, 1980), guitarist George McCorkle (born 1947, died June 29th, 2007), drummer Paul Riddle, and reed player Jerry Eubanks. The group’s style combined rock, country, and jazz and featured extended instrumental passages on which lead guitarist Toy Caldwell shone. The band was signed to Capricorn Records and released its debut album, The Marshall Tucker Band, in March 1973. The band gained recognition through a tour with the Allman Brothers Band and found significant success throughout the ’70s, with most of the band’s albums going gold. The band’s peak came with the million-selling album Carolina Dreams and its Top 15 single “Heard It in a Love Song” in 1977. Since then, the group has continued to write, record, tour, and entertain fans from around the world. 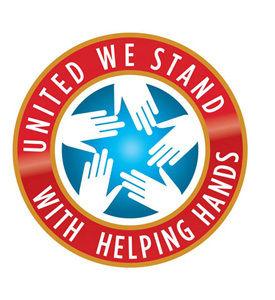 Still led today by founding member and lead singer Doug Gray, they represent a time and place in music that will never be duplicated. Gray is quick to credit the band’s current dynamic members with carrying on the timeless essence of the Marshall Tucker Band sound. Current members include slide guitarist Stuart Swanlund who joined the band in 1989, the highly respected drummer B.B. Borden, a former member of both Mother’s Finest and The Outlaws, multi-instrumentalist Marcus Henderson of Macon, Georgia, plays flute, saxophone and keyboards in addition to lead and background vocals, Pat Elwood on bass guitar, and Rick Willis on lead guitar and vocals, both of Spartanburg SC, are disciples of the Caldwell Brothers. Together they present a powerful stage presence as they continue to tour the country and continue to be powerful force in the world of music. 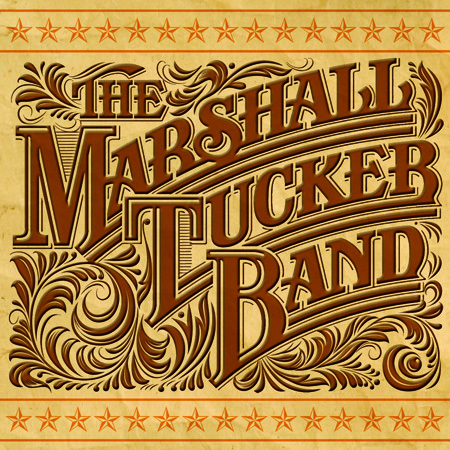 The Marshall Tucker Band got its start in Spartanburg,S.C.when Gray teamed up with Tommy Caldwell and Toy Caldwell, Paul T. Riddle, George McCorkle and Jerry Eubanks, borrowing the name “Marshall Tucker” from a piano tuner whose name was found on a key ring in their old rehearsal space. In 1972, they signed with Capricorn Records, the same label that guided The Allman Brothers Band, Wet Willie, and others to national fame. The MTB opened shows for The Allman Brothers in 1973, and the following year, they began to headline their own shows across Americadue to the platinum-plus sales of their debut album. They toured constantly playing sheds, stadiums, theaters, fairs, and festivals. In years to come, The Marshall Tucker Band would wow critics and influence major country acts like Alabama, The Kentucky Headhunters, Confederate Railroad, and Travis Tritt with its definitive blend of rock, rhythm & blues, jazz, country, and gospel. Now, thanks to the expanding scope of today’s music, a new generation of fans is learning what the rest of their fans have known for so long- that good music knows no boundaries. Along the way, the band has recorded twenty two studio albums, three DVDs, three live albums and many compilations. Years of rigorous tour schedules earned the band the respect of critics and countless dedicated fans. With hit singles like “Heard It In a Love Song,” “Fire On The Mountain,” “Can’t You See,” and “Take The Highway,” The Marshall Tucker Band earned seven gold and three platinum albums while they were on the Capricorn Records label. During the 90’s, the MTB scored four hit singles on Billboard’s country chart and one on Billboard’s gospel chart. Their music has also been featured on the soundtracks of movies such as Smokey and the Bandit, The Pursuit of D.B. Cooper, Shipwrecked, Crank 2, Don’t Mess with Zohan, Stop Loss, Swing Vote, Taking Chance and many others as well as many TV Shows. “The buying public never really cared whether we were country or rock and roll” says Gray. “They called us a Southern rock band, but we have always played everything from country, jazz, blues, Rock & Roll and all things in-between. As we’ve become older,” Gray grins, eyes twinkling, “our Southern heritage seems to come out even more. But no matter how old we get, we can still rock your socks off.” Gray also notes that people have gotten “married and buried” to classic MTB songs like “Desert Skies” and “Can’t You See”. After 37 years, The Marshall Tucker Band continues to be played on classic rock and country radio, and they have never stopped touring.